British pop sensation Ed Sheeran has released the official music video for "All Of The Stars" which will be featured on the soundtrack to a movie called The Fault In Our Stars set for theatrical release on June 6, with the soundtrack release set for May 19. Watch the video above, via YouTube. 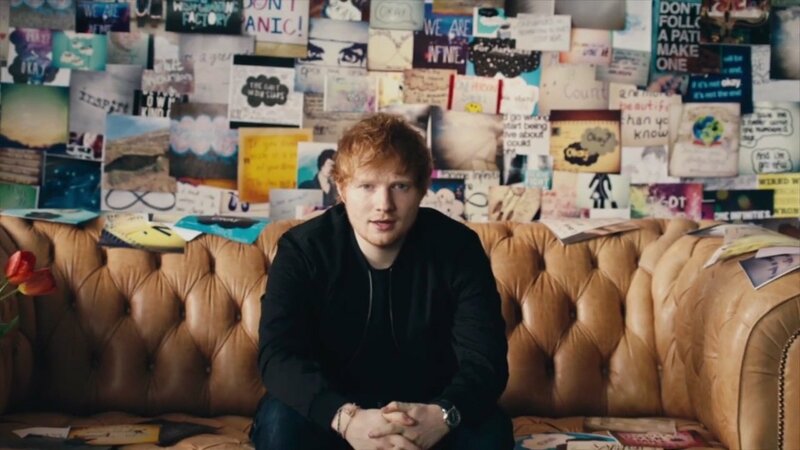 Flowers, postcards, and a collage of personal momentos and cliché thumbtack board material are shown through the video, ending with Sheeran sitting on a couch. It's the kind of thing that could be quite moving in a tearjerker movie type of setting. Sheeran's album X is due out on June 23rd. For all his latest music, news, and tour dates, check out his Zumic artist page.